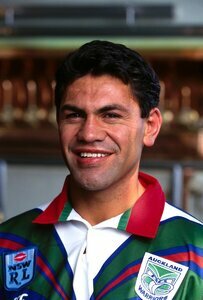 Centre/five-eighth, a representative of NZ Universities that won a World Cup in 1986, toured Australia with the NZ squad that year but did not appear in a Test (5 minor tour games). 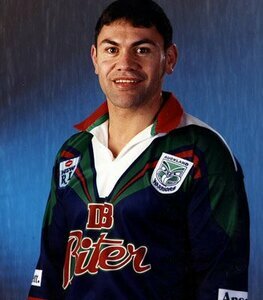 After touring Australia with an Auckland representative team in 1987 Tea Ropati had a season with Newcastle during the club’s inaugural season in the NSWRL before commencing a long stint with English club St Helens (1989-93). 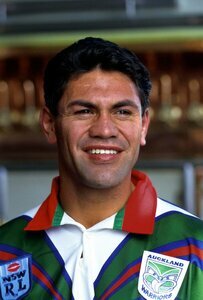 He made his Test debut against Papua New Guinea in 1992 and appeared in all three Tests against Australia on the Kangaroos’ tour of NZ in 1993. 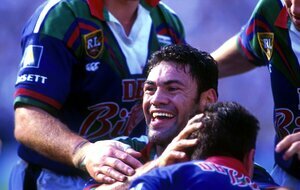 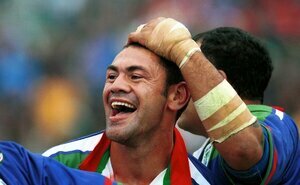 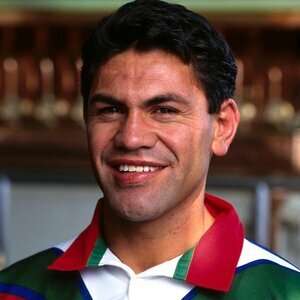 Ropati was a foundation member of the Auckland Warriors in 1995.